A properly functioning timing belt is essential for your vehicle. We perform timing belt and timing chain diagnostics, repairs, replacement and installation services for all vehicles and RV’s. Because of our commitment to customer satisfaction, you can be rest assured that all of our timing belt replacement services are offered at a reasonable and affordable price. For most vehicles, the timing belt is responsible for the opening and closing of your engine’s valves which helps to keep your engine working in a synchronized order. 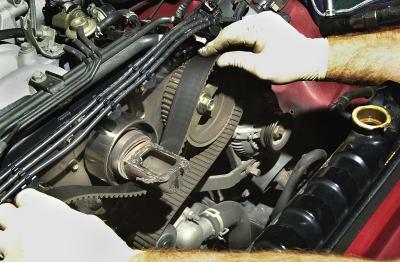 In addition, the timing belt is responsible for controlling the operation of the water and/or oil pump. Much like other components of your vehicle, your timing belt needs to be maintained properly. Timing belts experience wear and tear over time. Repeated vehicle use and failure to maintain your timing belt can cause the teeth on the belt will wear, causing the drive gear to jump out of time, resulting in extreme damage to your engine. We recommend you consult the manufacturer’s recommendations for timing belt replacement. Failure to maintain your timing belt can result in disastrous damage to your vehicle that will cost significantly more than regular timing belt maintenance services. We highly encourage you to keep up on the maintenance for this critical part of your vehicle. 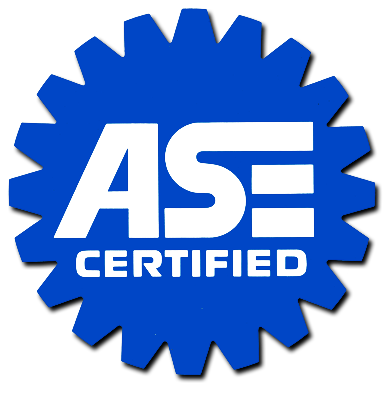 Timing belt replacement is such a critical part of your vehicle’s performance we recommend using an ASE certified mechanic when servicing your timing belt and related parts on your vehicle. How often do you recommend I replace my timing belt? We recommend that your timing belt be replaced before the manufacturer’s recommended mileage deadline to ensure your vehicle does not experience engine failure. We recognize that our timing belt replacement services can be difficult to understand, and we encourage our customers to ask for any additional information about your vehicle’s specific needs.